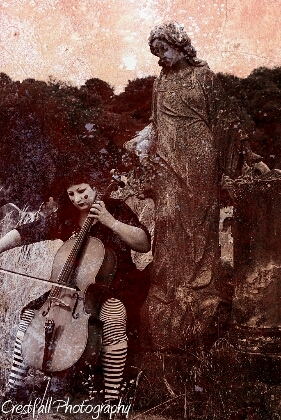 Since my last post... A cracking graveyard photoshoot with Crestfall Photos. 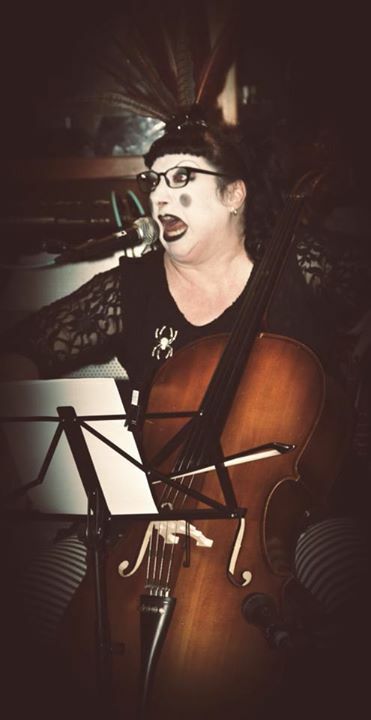 I played The Worm Song and others in the middle of Ford Park Cemetery... All the pictures are now on my facebook page for your perusal in the Face Of Woe album. Then Dolly Delight's Jungle Fever the following Thursday... Had a really good singalong audience. Again it was packed. 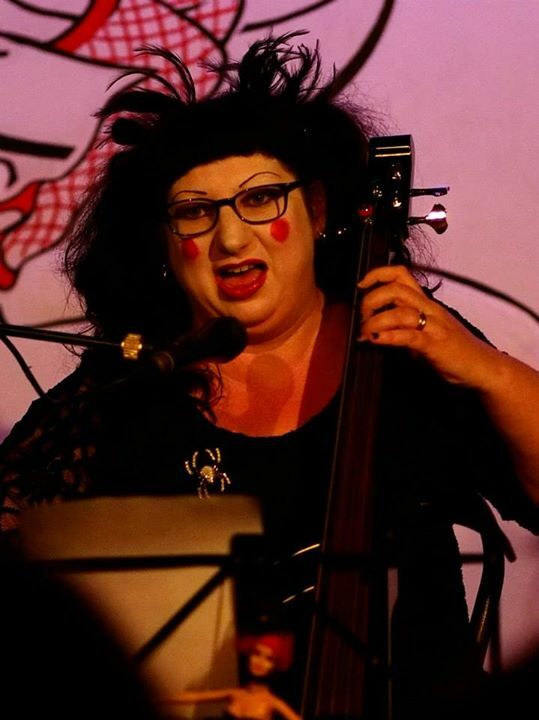 I performed Daisy Daisy, As I Do Time and Idle Vice and thoroughly enjoyed myself. The full Miss Von Trapp videos for both Alienfox: Entity and Jungle Fever will be up on my Youtube shortly but there are short clips from Jungle Fever on my facebook page. Arthur Shilling's Tea Party this coming Saturday, a gig at the B-Bar... and then a big Steampunk Festival over two days in Reading. 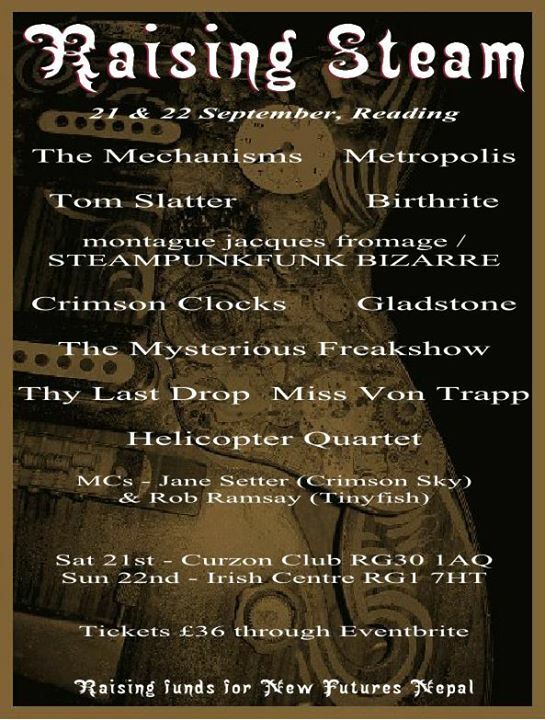 Raising Steam is raising funds for New Futures Nepal and has a whole host of glorious steampunk bands over two days - see below. Tickets are on sale now - please follow the link to the event on my facebook - and it's for a really good cause so if you can come along then please do. I am very excited to be part of it!! This event is going to be fantastic and it's just over 4 weeks away! Get your tickets NOW!! 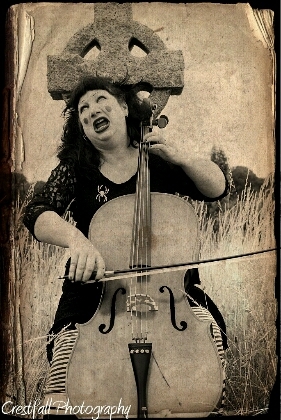 Miss Von Trapp at Raising Steam Festival in Reading on 21 & 22 September ... also lots of other fabulous Steampunk Bands playing including Gladstone, Birthrite, Metropolis, Steampunkfunk Bizarre, The Mysterious Freakshow, Tom Slatter and more... Get your tickets quick before they all sell out!!!! New Futures Nepal empowers disadvantaged children and adults of Nepal by raising funds for initiatives that promote health, education and independence and supports social integration for children with disabilities to live in the community and within safe and loving homes. We adopt a ‘hands on, personal approach’, keep our administration costs low and work with local charities and organisations worldwide to facilitate the charity's goals and aims.We operate in a number of ways: a) Children, b) Education, and c) Lifelines. CHILDREN : We work with separate childrens’ homes in Nepal and India that together provide shelter, education and loving care for about 40 children. All of the children are disadvantaged because they are either orphaned, abandoned or disabled. They are of Nepali origin and come from some of the poorest hill communities in the Nepalese and Indian Himalayas. Without our help they would have little hope for the future. The homes also provide full-time employment for about 10 adults, some of whom also have physical disabilities. EDUCATION : We have two initiatives. Firstly, higher education and/or vocational training is available for all of the young adults leaving the homes. Its purpose is to equip them with qualifications and skills so they are able to achieve independent living. And secondly, health, safety and hygiene education is provided using interactive DVDs. These are widely distributed through District Health Offices and Village Development Committees and their purpose is to provide basic education in a group environment, i.e. village, family or school. The lessons range from HIV/AIDS awareness through to Human Trafficking and Growing Up. LIFELINES : Our Lifelines scheme enables provision of financial aid to individuals, organisations and communities who are experiencing hardship and are in need of assistance. Each Lifeline must meet the aims and objectives of the charity and an annual budget is allocated for the Lifelines scheme.